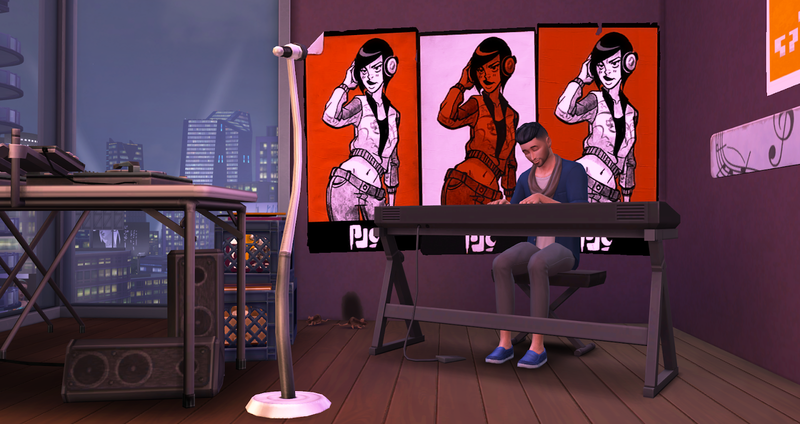 These apartment problems are cloned and modified from the objects that create the "Needs TLC" City Living apartments in San Myshuno. This mod does not unlock the TLC trait, but it does unlock all of the objects that make the TLC trait do what it does. You can now place these objects on any lot that you are able to build on! It may take you several sim-days to see the problems begin to arise, so be patient. They will work exactly as they do in the San Myshuno apartments. Your sims will get the appropriate bad moodlets. Please read the following notes and warnings before use! The roach hole is especially tricky to place because the hole is invisible once you leave buy mode. Also, the way the roaches spawn, they crawl out and up at the same time. You want to place the little yellow spawner one half block away from the wall where you want them to crawl up. They’ll also crawl out by about three blocks and sideways by about one block in either direction. In the picture below, I placed the spawner directly underneath where the plant is on the table. See here, one half block out from the wall, pointy side facing out. Because the spawner is invisible, you won't see anything and can’t interact with it at all until the roaches spawn. The random smell is another invisible spawner, but the placement is not unusual. The spawner looks exactly like the roach spawner, so be careful which one you place. Like the roaches, there is nothing to interact with until the smell spawns. As before, you can also use enable debug cheats, shift-click > "destroy object" to get rid of them. 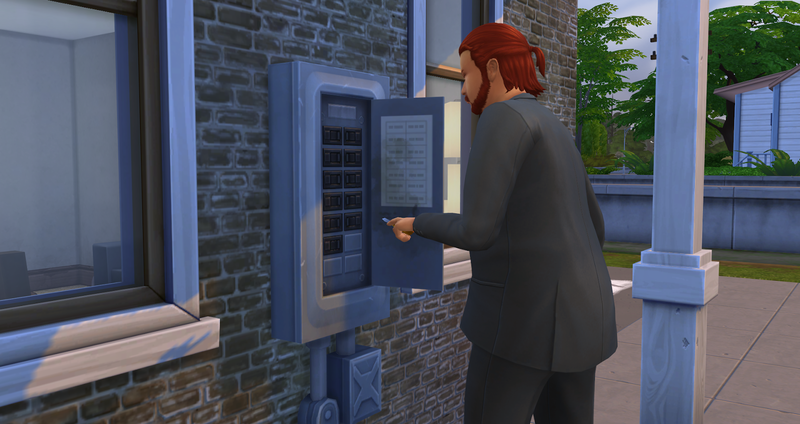 These mods will not affect your San Myshuno apartments at all. They will remain just as EA intended them. But FYI, if you want to delete those apartment problems for whatever reason, you can use the debug cheats noted above. You can also use these objects to add additional apartment problems to the San Myshuno apartments. Following the discussion in the comments below, I had a look for the vent and slime puddles. 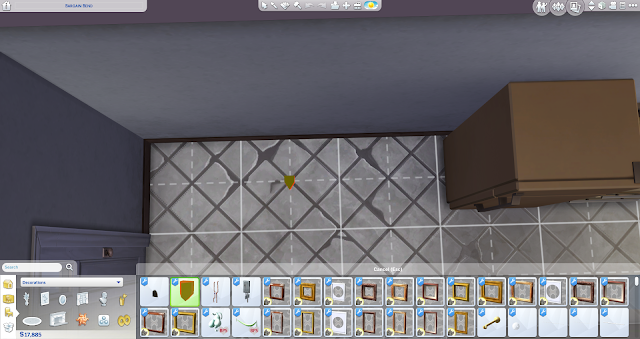 What I found was that the vent object is totally useless, no different than the "simple drain" that you can access in your catalog as default. As you can see in the pictures, I placed about 10 of them, hoping one of them would do something. I waited for 2 sim-weeks. None of them ever leaked goo. That's because the puddles are a separate object. Which I did find. 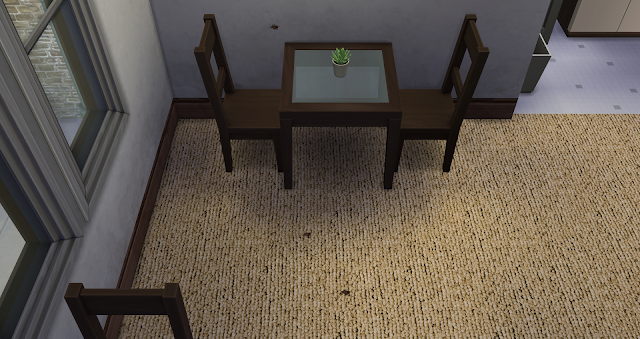 However, the ones I found were only placeable, not spawnable like the other apartment problems. Meaning, you place them once, mop them up or complain about them, and they won't pop up again unless you place another yourself. Whatever the developers did to make them spawnable in the default apartments is far beyond my skill set. Sorry! But they are pretty cool, anyway. They come in three sizes. The larger ones bubble and fume. They are delightfully gross! The moodlet produced is a regular bad environment moodlet, but you need to have more than just one small puddle placed for that. You can mop them up yourself, or complain to the landlord. Might be useful for storytelling, although it's a bummer that they won't spawn themselves. Thank you to Shalunyturns for the mod idea. 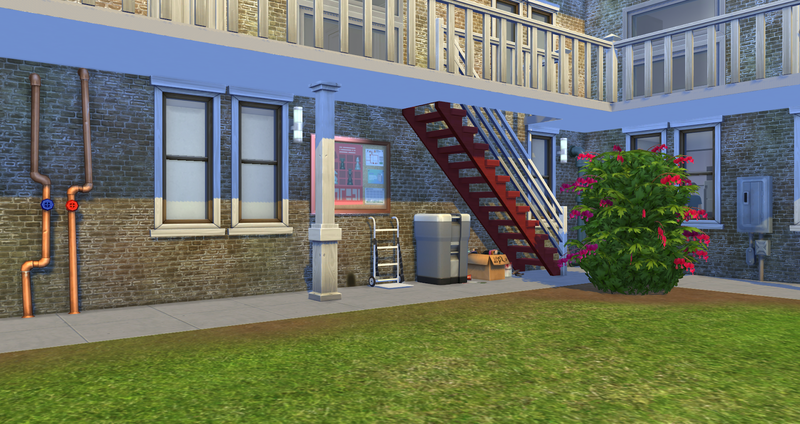 With this mod, sims with the lazy or slob traits will not react or be bothered by apartment problems. The problems will not interrupt their current actions, and they won't get any negative moodlets. They just carry on simming like they don't give a crap. This mod affects placed or default apartment problems in all worlds. Note: there was one instance I left out that looked like when the electrical box actually catches fire. I figured they should probably care a little at that point, lol! I wanted to let you know that you forgot one thing. on the apartments with problems there is some kind of metal on the floor which causes some weird kind of slime to come out. Can you please add it as well?? Hi, Anon. I was able to find the drain, called "Drain Goo" in the files so I assume it's the right one. I played through 3 game-days and it never spawned. That could be normal. Sometimes it just takes longer. But this one wouldn't work by debug cheats either, so I don't know. I can't yet confirm that it's working, but I have some other things to work on today and can't test it anymore. I'll throw this file up here (movable version). If you'd like to help test it out to see if it works, that would be great. Or if you want to wait, that's fine too. I'll upload it "officially" once I can get a picture of it working. But this is the file I have in my game at the moment. Hi, Sophie. Don't worry about testing. I just speed-played through seven days and the drains never spawned anything. I'm pretty sure they never will, because I've never had them take that long before. My guess is that the drain vents are purely decorative, and the goo is a separate object. I found a goo puddle in the game files, which is greenish tinted and possibly the item that they used for the vents. It has options to "mop" or "complain to landlord" like the other problems have, except that it's not spawnable, just placeable. So when you mop it, it won't come back unless you place another one. It produces a negative reaction, but no moodlet. If there is another spawnable goo puddle in the game, I haven't found it yet. I can upload the puddles if you want them, but they won't spawn the same way the other apartment problems do. I uploaded the puddles of goo. They won't spawn themselves, but they are kind of cool anyway. @Laura Hello, Tysm for this mod! Does anyone know if these still work for the newest patch? Yup, all is fine in my game as of 3/4/18. Thank you @Laura! I was wondering if somehow there is a way to make sims stop overreacting to these? It's quite annoying having there queue stomped and then spammed by these objects when they are active! 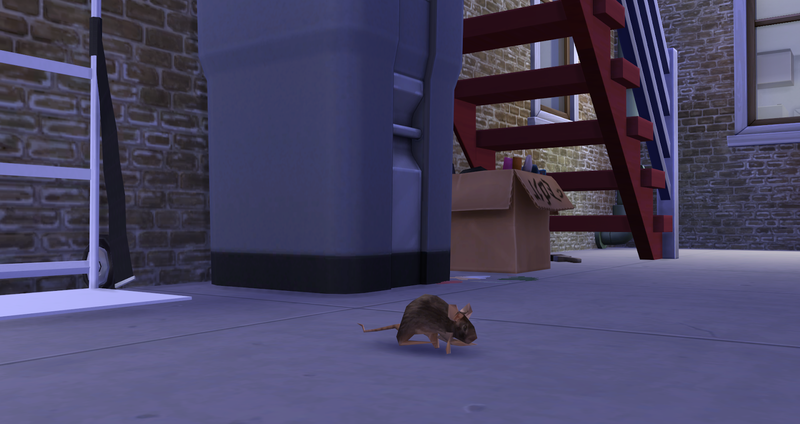 Like a slob or lazy sim should be able to ignore these don't you think? 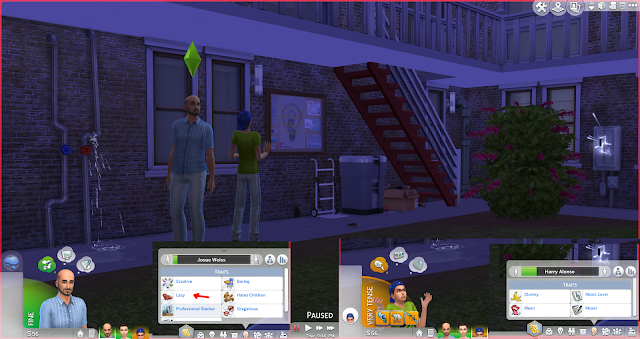 Even neat sims; I think it would be better if they just get moodlets instead of freaking out... if you aren't able to mod this, would kindly be able to walk me through editing them myself? Hey, that is a super good idea! First, I should note that I only do little tuning mods as a side thing, so I had 0% confidence that I could even do this. But it was a great idea, and something I'd like for my own game as well, so I took a peek at the files. I tried a thing. And hey, it actually worked! Go figure. So it's linked up above. Enjoy! Hope it's okay that I left neat sims out of it. I totally think neat sims would still freak out and be stressed out by these problems. Your amazing! Tysm, I really appreciate it and I'm actually really glad you left neat sims. I guess my only concern is if a regular sim with out any of these traits will have their queue stomped and spammed still? That's what I originally meant; I just find it really hard to play. I would like to open up the file and see as well how to make it so regular sims just get moodlets? If you have Sims 4 Studio, you could probably tweak the files to suit your needs. What I did was to add the slob and lazy traits to the "blacklist" for each apartment problem broadcaster. There are two blacklists in each broadcaster, one for the buff and one for the reaction (so yes, you could just mod the reaction but not the moodlet, if you wanted). So you would have to look up the file number and trait name for each trait you wanted to add to the blacklist. It wouldn't be hard, but it sounds pretty tedious, to be honest. But once you have one list made, you could copy/paste it to the other broadcasters. On the other hand, if you truly want to remove the reactions for everyone, and if you want to take a gamble, maybe try to just delete the reaction loot (whole section) from the broadcaster completely? No idea whether that would actually work, but it might be worth a try before you go looking up all of those trait codes! does this need to be updated for the get famous and or latest patch? i've been having some problems with the goo drain thingy in one of my apartmens and thought maybe it was because the mod needed to be updated? thanks! :) great mod btw, one of my faves! Hi, thanks! :) Could you tell me a little more about what problem you're having with the goo drain? Apart from the goo drain, everything else is working as expected in my game with the recent packs & patches. However, I did find a default goo vent in one of the San Myshuno apartments to be not working (in 1313 Chic Street) -- not working, as in the goo did not appear and could not be forced to appear by debug cheats. But the lack of goo persisted even when I removed my mod set, so I would suspect the problem is from the game itself and not the mod. Does this match your experience, or are you having a different problem?